As an alumni of Irvington High School, Mr. Fung completed his undergraduate degree from UC Berkeley, majoring in Cognitive Science with an emphasis in Computational Modeling. During his undergraduate studies, Mr. Fung had an opportunity to direct an after school program with AmeriCorps at Berkeley High School. It was through his experience there with the students that he developed a strong interest in teaching and supporting student needs. Thus, he decided to also pursue a minor in Education from UC Berkeley. Upon his completion from college, he continued his education by pursuing a teaching degree at Mills College. He earned a Single Subject Teaching Credential in both Mathematics and Physics while also completing his Masters in Education with a focus on math intervention programs. Working with students in the urban community has always been one of Mr. Fung’s passions. With his skills, he started his teaching career in Oakland working with junior high students. Soon after, he followed his dream of teaching overseas and joined the Peace Corps as a volunteer teacher instructing students in a remote village in Africa. His two years of experience in Guinea only fueled his joy for working with students. Mr. Fung taught Math and English to this French-speaking community and relished in the academic achievement he was making with his students. In addition to teaching, he also helped to direct after school and summer programs to encourage more girls in the village to further their Education. He was part of a team to help build the village’s first library with a small computer center using solar power. After finishing his term with the Peace Corps, Mr. Fung returned to the states to join the teaching staff at his alma mater, Irvington High School. Since, he has taught Honors Geometry and Algebra 2/Trig before moving to teach Physics and 9th grade Integrated Science. Mr. Fung is also the school’s technology coordinator and co-advisor to Key Club and the STEM Club. 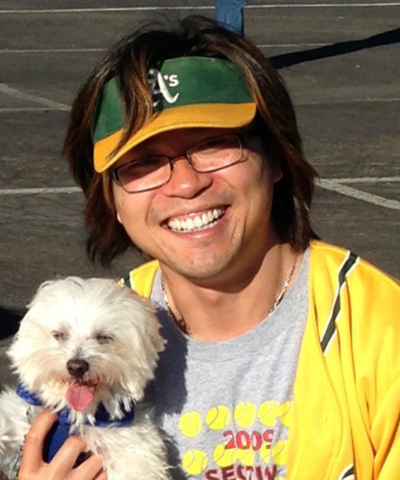 When he is not teaching, Mr. Fung enjoys traveling, playing tennis, and spending time with his dogs and cats at home. During the summer, he also enjoys sailing and windsurfing.